It was in the jungles of Punjab that the first rays of civilization had appeared. In this respect, Punjab is considered the motherland of dances. From tribals to the kings and eventually republics took shape. These changes left their seals on the sands of time and caused changes in culture also. The Bhangra is perhaps the most virile form of Indian folk dances. Springing from the land of five rivers, it abundantly reflects the vigor and vitality, bestowed among the rural folk by the promise of a bumper crop. The Bhangra season starts with the wheat sowing and then every full moon attracts teams of young men in every village who dance for hours in open fields. The dancers begin to move in a circle around the drummer, who now and then lifts the two sticks, with which he beats the drum, to beckon the dancers to a higher tempo of movement. They start with a slow movement of their feet. As the tempo increases, the hands, the feet and, in fact, the whole body comes into action. They whirl round and round bending and straightening their bodies alternatively, hopping on one leg, raising their hands, clapping with their handkerchiefs and exclaiming “Bale Bale! Oh Bale Bale” to inspire themselves and others to the abandon of the dance. At intervals, the dancers stop moving, but continue to beat the rhythm with their feet. One of the dancers comes forward near the drummer and covering his left ear with his palm sings a boali or dholla, derived from the traditional folk songs of Punjab. Picking up the last lines, the dancers again start dancing with greater vigor. The Bhangra season concludes with the Baisakhi fair when the wheat is harvested. Bhangra is considered the king of dances. The vitality of Bhangra also can be seen in the Giddha dance of the women of Punjab. This dance translates into gestures, bolian-verses of different length satirizing politics, the excesses committed by husbands, their sisters and mothers, loneliness of a young bride separated from her husband, evils of society or expressing guileless deep love. The dance is derived from the ancient ring dance. One of the girls plays on the drum or 'dholki' while others form a circle. Sometimes, even the dholki is dispensed with. While moving in a circle, the girls raise their hands to the level of their shoulders and clap their hands in unison. Then, they strike their palms against those of their neighbors. Rhythm is generally provided by clapping of hands. Giddha is a vigorous folk dance and like other such dances it is very much an affair of the legs. So quick is the movement of the feet in its faster parts that it is difficult for the spectator even to wink till the tempo falls again. The embroidered 'duppattas' and heavy jewelry of the participants whose number is unrestricted further exaggerate the movements. During the dance, Giddha songs called 'bolis' also are sung. One participant generally sings the 'bolis' and when the last but one line is reached, the tempo of the song rises and all start dancing. In this manner, 'bolis' alternate with the dance sequence, which continues for a considerable period of time. Mimicry is also popular in 'Giddha.' One girl may play the aged bridegroom and another his young bride; or one may play a quarrelsome sister in law and another humble bride. In this way, Giddha provides the best forum for giving vent to one's emotions. The traditional dress during giddha dance is short female style shirt (choli) with ghagra or lehnga (loose shirt up to ankle-length) or ordinary Punjabi Salwar-Kamiz, rich in color, cloth and design. The exuberance and vitality of the people of Punjab are vigorously displayed in their folk dances. With the drum beat or to the tune of some other instrument of folk music, the energetic feet of the people of Punjab are spontaneously set in motion to give birth to a folk dance – an expression of the soul triumphant, an outburst of emotions. Punjab's folk dances are replete with foreign influences. It is only in Punjab where there is no common dance for men and women. In part I of this article, we were introduced to three different genres of Hindustani classical music namely Dhrupad, Khyal and Taraana. Here are some of the lighter genres. 4. 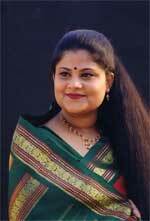 Thumri – This is a sweet, alluring and highly popular kind of gayan (rendition). Here the compositions completely revolve around the life, deeds and beauty of Radha and Krishna. There is a lot of shringar (romanticism) and bhakti-bhav (devotion) in thumris. Virah or pain of separation and the longing to be one with the Supreme Being who is referred to as the ‘lover’ forms the central theme of most thumris. The meaningful contextual lyrics are laced with pleasing and ornamental phrasing usually in raagas such as Khamaj, Pilu, Bhairavi, Pahadi, Gaara, Kafi and Keerwani. Like in khyal gayaki, purity of raaga is not a prerequisite, so the singer is only limited by his or her imagination in the beauty they can bring to a thumri rendition. This genre originated under the patronage of the Nawabs of northern India more than two centuries ago. Thumri is personified in the voices of my all-time favorites like legendary Begum Akhtar, Ustad Bade Ghulam Ali Khan, Shobha Gurtu and Ajoy Chakraborty. 5. Bhajan – We instantly recognize the word bhajan to mean a devotional song. It is a light classical genre that is a poetic description of the leela or deeds of the Lord. Bhajans sing the praise of the Almighty, asks for divine intervention and blessings, conveys a thirst for transcendental knowledge, courage to be righteous and also describe spiritual awakenings. Popularized in the medieval period known as the Bhakti-Kaal (age of Spiritual Renaissance), the bhajan emerged as an offspring of the bhakti movement. The pioneers of this movement were poet-saints and spiritual leaders such as Meerabai, Kabir, Tulsidas, Surdas, Jaideva and others. The languages used are Sanskrit, Hindi and its dialects like Braj Bhasha, Punjabi, Urdu, Gujarati, Bengali, Marathi, Kannada and every other regional language of India. Each region has experienced its own bhakti movement. The innate beauty and simplicity of the bhajan are mesmerizing. It can be an individual rendition or performed in a group in the form of keertan and sankeertan. The common man through the ages has found peace and solace through bhajan because of its simplicity and universality. Bhajan genre has been universally embraced as a pathway to reach the Supreme Truth. Bhajan renditions that touch my heart include those by Pandit D.V. Paluskar, Pandit Kumar Gandharv (Nirguni bhajans), Pandit Jasraj, Pandit Bhimsen Josh (Marathi abhangs and Kannada devaranamas), Pandit Rajan-Sanjan Mishra, Veena Sahasrabuddhe and Kishori Amonkar. 6. Ghazal – A rich and textured genre celebrating romance, beauty, passion and even wit, the ghazal is a highly popular and attractive style of singing. An understanding of the lyrics, which are almost always in the Urdu language is key to its complete enjoyment. The artists take complete liberty with respect to raaga (melody) and taala (rhythm) which enables them to imbue the poetry of the ghazal with appropriate context and intensity. Started in the Mughal era, the ghazal has emerged as an anthem for lovelorn hearts everywhere. The most expressive and improvisational ghazal performers that I have come across are Mehdi Hassan, Ghulam Ali, Jagjit Singh and Hariharan. Some of the other less frequently heard genres include the Tappa, Dadra, Hori, Kajri, Chaiti, Chaturang, Raagmala, Dhamar, Lakshan Geet and Sargam Geet.